It’s been a long time since we’ve seen a near ground-up rebuild for the NHL franchise. For my money, the biggest and best evolution the title ever saw was the addition of the Skillstick in 07. Since then? It’s been a march of minor upgrades and tweaks. I’m not suggesting the other games were bad or middling, they just weren’t as revolutionary as 07 was to the series. 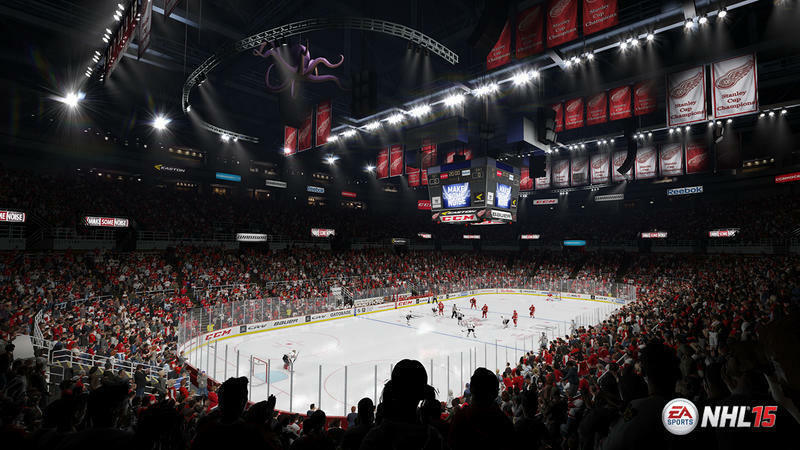 NHL 15 is the first new-gen entry. It is, from top to bottom, a game that looks and feels very different. For starters, everyone on the ice has physics. That means collisions don’t just happen between Player A and Player B. They happen with one player who hits another, and another who trips over them and slides into the goalie. You’ll create and participate in a waterfall of events, and it makes the game feel much more alive and dynamic. In fact, that’s probably the most notable thing about my 20 or so minutes with NHL 15 at E3 this week. Things feel much more alive than they ever have. Arenas are incredibly detailed, yes, but they’re able to animate 9,000 spectators. That’s 9,000 fans dancing, cheering and raving in the stands. Then you get down to ice level and you see the finite intricacies of each player’s jersey, their stick, their skates, their beards. Players look much better, as even the sweaters are completely physical. They drape over a brand new, higher quality player model, and they move and react to hits, motion and the puck. That’s right, you’ll actually see a jersey flutter as it hits the puck, sending the rubber disc end over end as it changes courses on a deflection. Yes, the puck’s even been given a set of physics. Turns out, for better or worse, the puck in previous NHL entries was essentially treated like a ball in-game. In 15, it’s a puck, and that means that bounces will be more typical when compared to the stuff we see on TV. My only real issues with the game came from odd blurring and streaking. Now, look, when you go to these events, you play games in super cramped spaces. You sit right up on the televisions, sometimes only a foot or two away from the screen. When that happens, you notice irregularities and imperfections. I noticed a lot of odd flickering on the ice as it wore down. That was weird. I also noticed crazy blur when the game cut to shots of players and the refs in-between whistles. Extreme blurring even. This was on the PlayStation 4 in an otherwise perfect situation. Maybe it’ll be fixed, maybe it’s just an early bug, I don’t know. It was weird though. 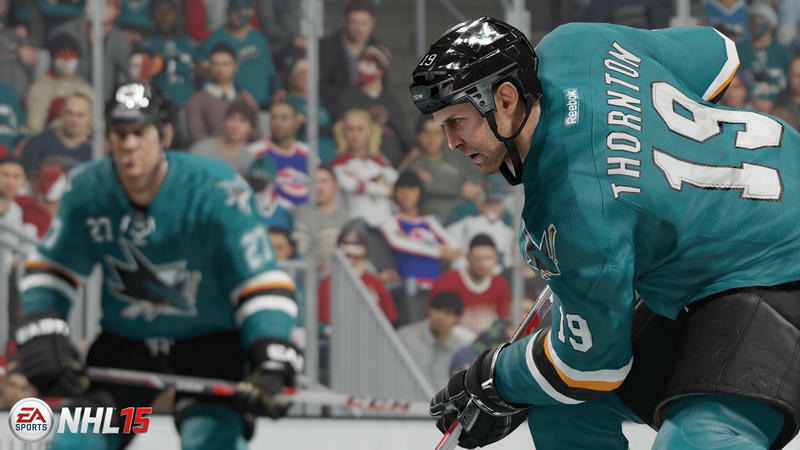 All told, thanks to the new engine, new physics and better looks, I’m extremely excited for NHL 15 when it drops this fall. They’ve even recorded Doc and Eddie in front of green screens for the game. Each match-up will start as a live-action shot pitting the teams between one another in the NBC Sports Broadcast Package, and I’m excited to nerd out about that. Hard. We’ll have more on NHL 15 as it comes. Let’s go Pens… and whoever the heck they pick for head coach.